I'm sitting in my packed-to-the-gills high school right now, with 4700 students attending school in a building designed for about half that. We have rooms that are converted closets, rooms in which there are portable AC units that are so loud you can barely teach when they're on. A whole lot of teachers turn them off rather than utilize them. Meanwhile, Eva Moskowitz, funded by hedge fund zillionaires running an expensive ad campaign for her, is crying that the city is discriminating against her students. Naturally I'm broken hearted that her private hot line to the chancellor no longer operates as previously, but that is chutzpah. For those unfamiliar with this term, it's when you murder your parents and plead mercy in court because you're an orphan. In fact, Bill de Blasio ran on a platfrom opposing charters and supporting public schools. He's been elected overwhelmingly not once, but twice. While I don't support mayoral control, it's been doled out to him in dribs and drabs rather than for years at a time as it was to Bloomberg. That's specifically because he doesn't give charters a blank check, and it saddens me when he makes concessions to Moskowitz Academies so as to retain it. Eva's just off of winning the right to not sign any stinking agreements when opening pre-Ks. That's nothing. In 2014 she got Governor Cuomo to pass a law saying that NYC had to provide rent to the likes of Eva when he denied her schools. That's not only outrageous, but also against the will of NYC voters. I teach ELLs. I teach them when they've just arrived here. How many newcomers does Eva serve? I'd wager none. You can't just take a newcomer and set him up in a test prep factory. You have to teach him English first. In my building, we serve a whole lot of alternate assessment kids who will never graduate. They will never take the tests Eva has kids peeing their pants over. We sent them to local businesses and they are trained for work they can actually do. How many of those kids does Eva take? We take everyone, and in exchange are packed to double capacity. We serve all children. If the city is discriminating against Eva, they're most certainly discriminating against us. My kids need and deserve more space. 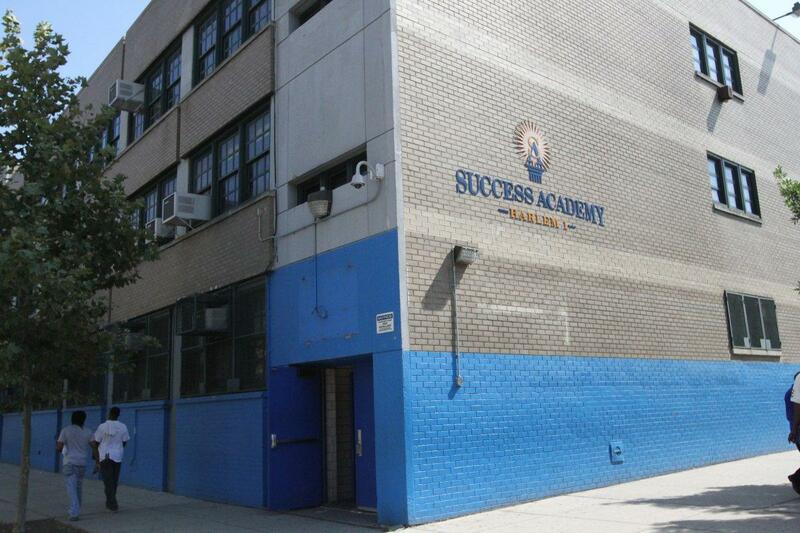 They need and deserve every advantage denied them by selective institutions like the Moskowitz Academies. Real public schools, the ones who follow rules, the ones who follow chancellor's regulations, the ones run by elected officials deserve first attention. I say put Eva last in line.